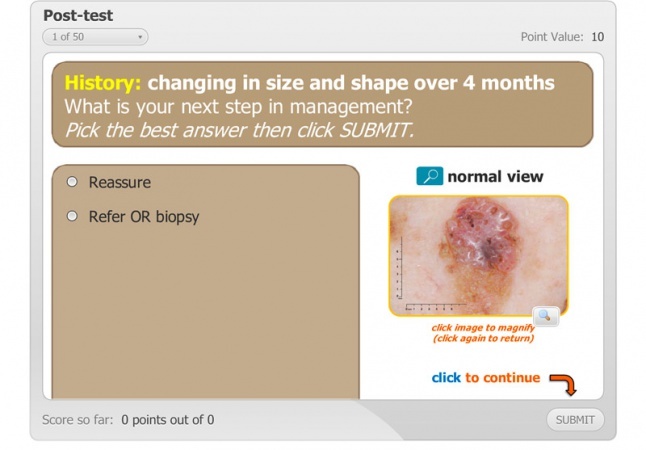 INFORMED (INternet curriculum FOR Melanoma Early Detection) is transforming melanoma education by engaging the learner. 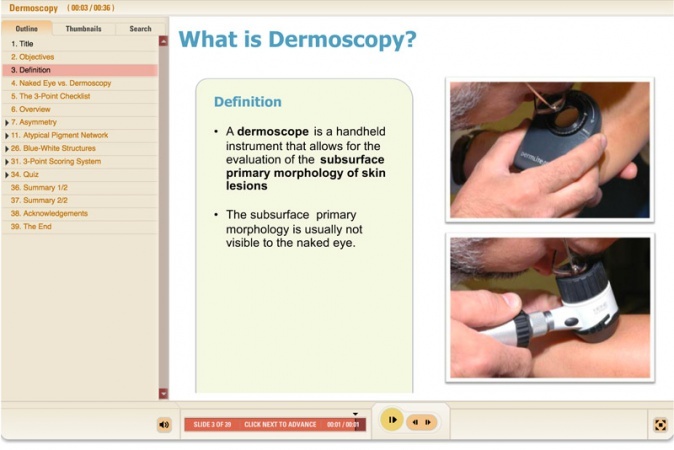 In addition, the INFORMED program provides training in dermoscopy (epiluminescence microscopy), which has been proven to increase diagnostic accuracy during the skin examination. 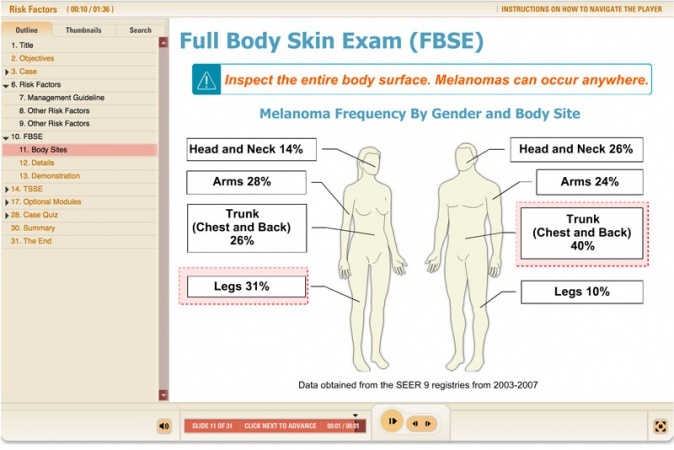 "An increasing body of evidence indicates that effective early detection is our best hope for cutting melanoma deaths by at least half in the near future. 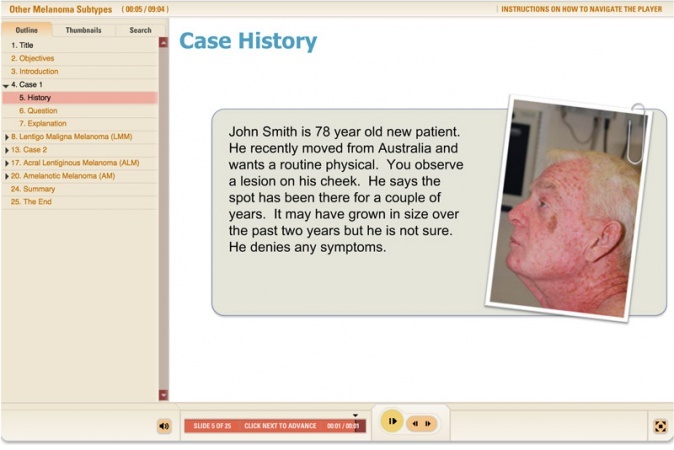 Conventional education programs have had the effect of stabilizing mortality rates despite steadily increasing incidence trends, but we need to change our methods to get a substantial reduction in deaths. 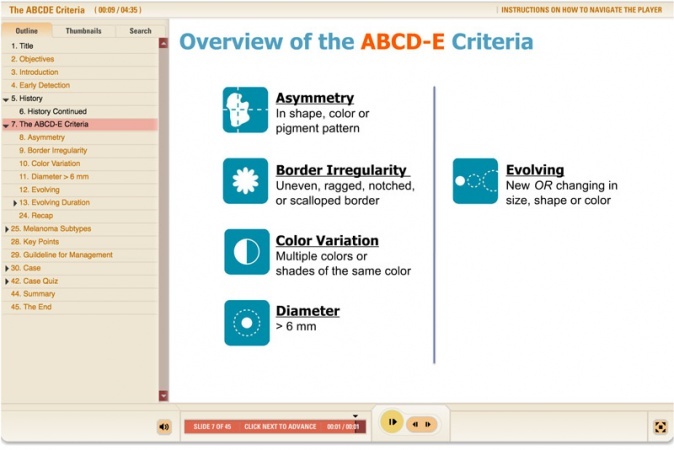 Today, knowledge and skills for melanoma screening remains low in primary care, performance of thorough skin self-examination remains low, and education of clinicians remains focused on teaching variations of the ABCDs of melanoma in conventional formats." 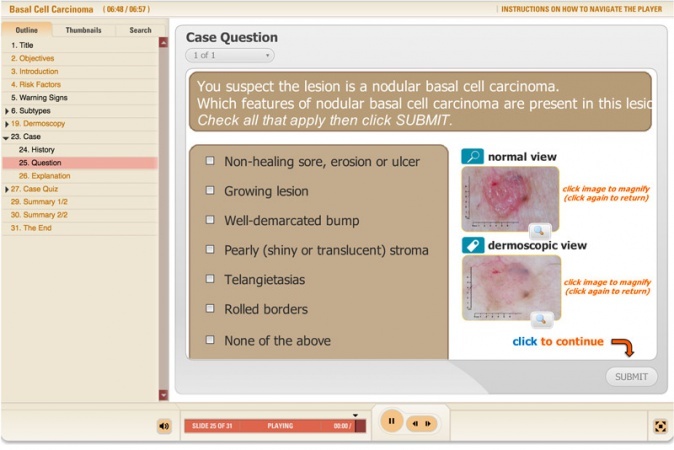 Case 2: The "Ugly Duckling Sign"
INFORMED was created by a diverse team, from multiple institutions, with expertise in melanoma early detection, medical education for cancer prevention, clinician interventions including large health systems, screening, and Web-based instruction. 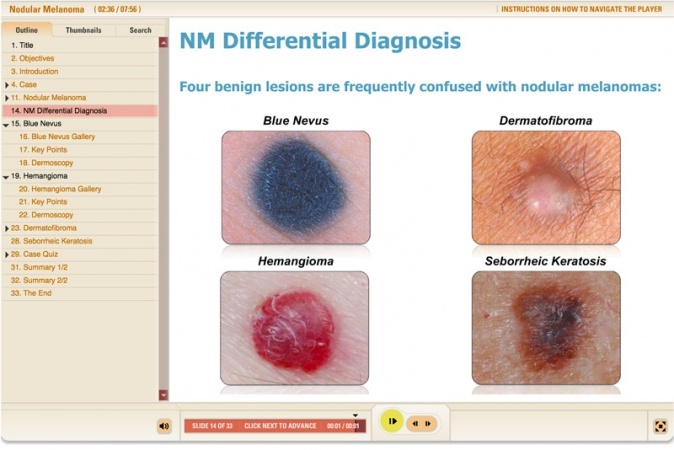 With a grant from the Melanoma Research Alliance (MRA) the INFORMED (INternet Curriculum FOR Melanoma Early Detection) group set to create an educational course targeted toward primary care physicians. 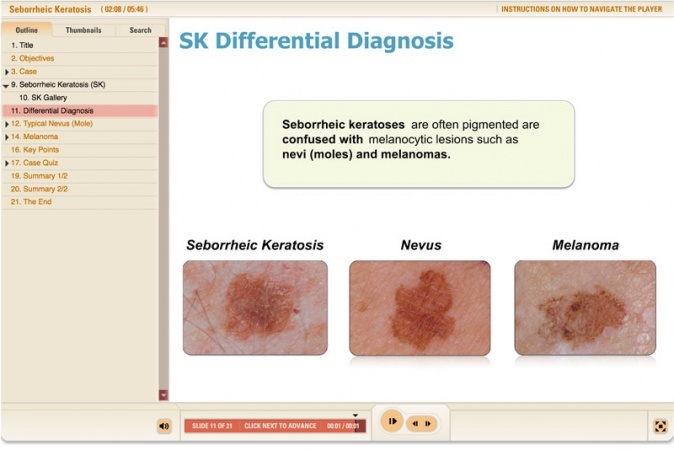 The immediate goal of the curriculum is to improve the detection of skin cancers by increasing physician clinical knowledge and diagnostic skills. 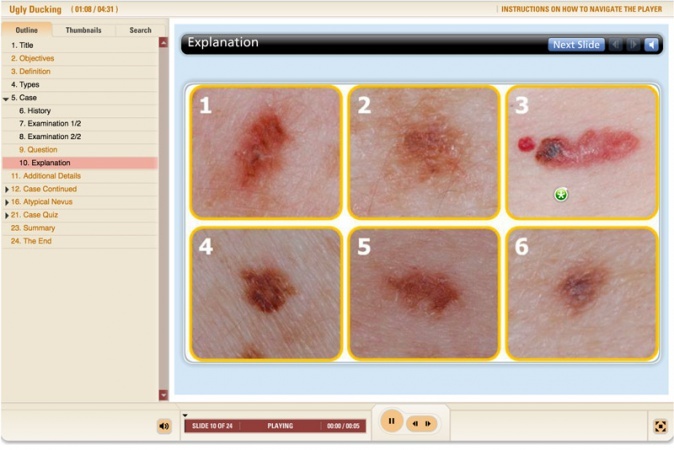 Through this curriculum the ultimate goal is to reduce the skin cancer mortality rate.